From balcony to rolling acres, garden sculpture is the perfect addition to every outdoor space. 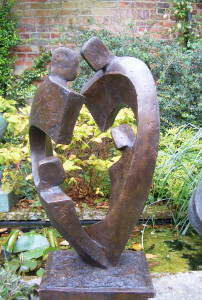 My garden sculptures are created to provide a feature or focal point in all garden settings, ranging from town patios to large landscaped gardens. 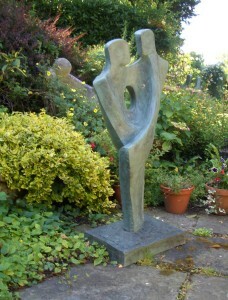 They can be viewed by appointment in my own walled garden – just email or phone on 0208 4415841 to make an appointment. 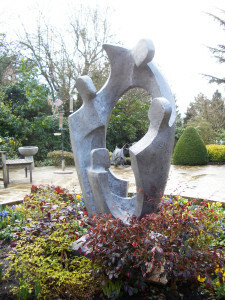 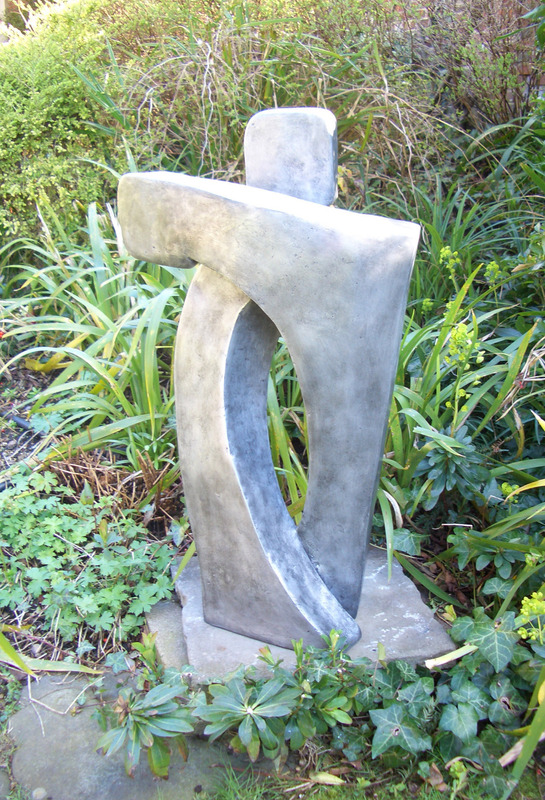 The scale of my garden sculpture is appropriate to the site and in a cast material. 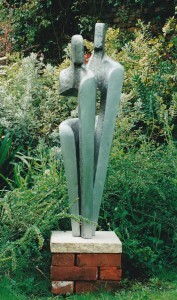 Height dimensions of illustrated works range from 28 to 75 in (72 – 192 cm). 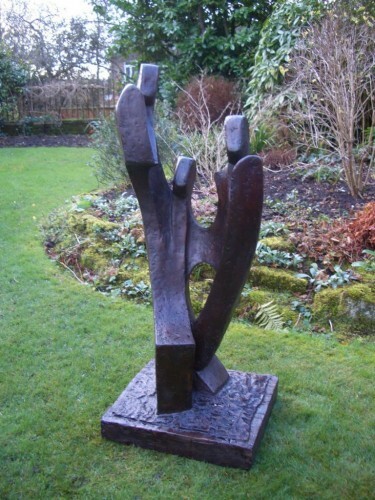 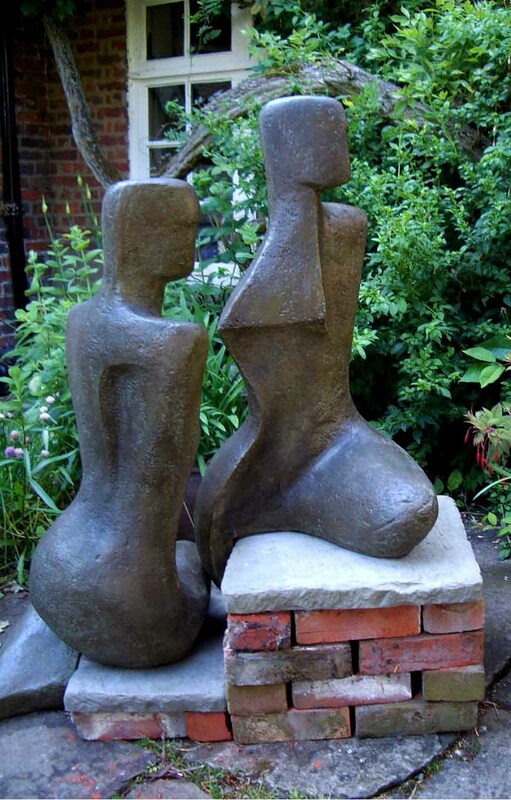 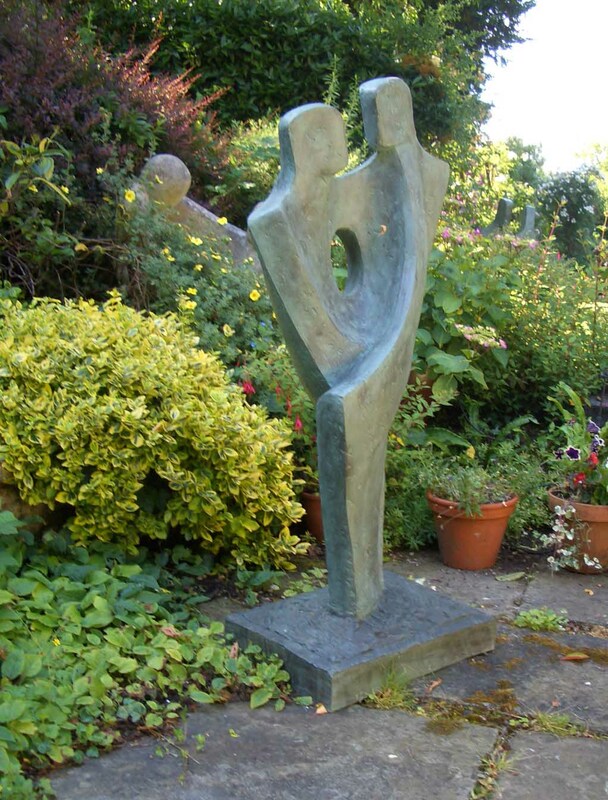 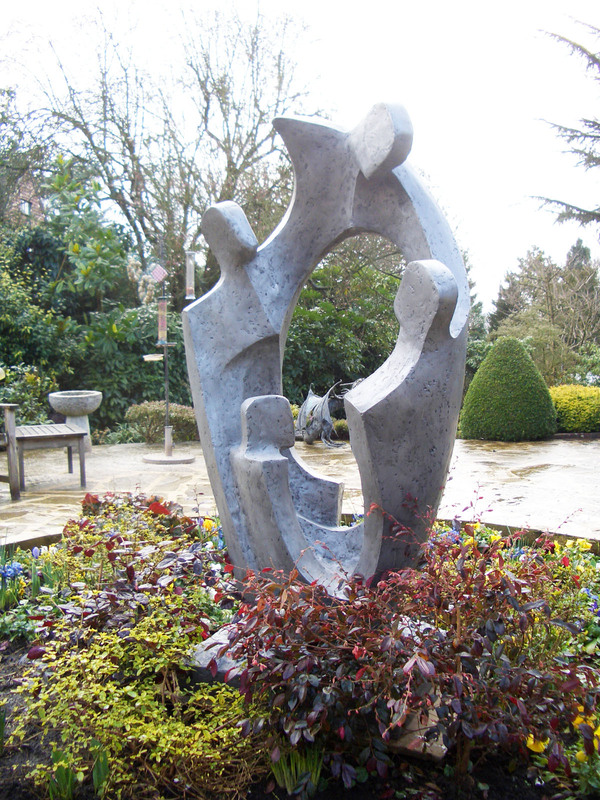 A sculpture for a garden can effectively create a focal point, or even a surprise factor when suitably placed; it never detracts from the surrounding setting but adds to the overall impact. 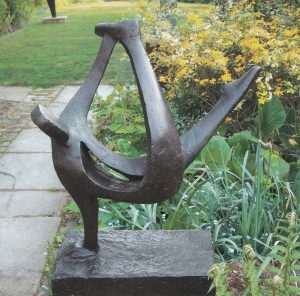 The proposed site for garden sculpture will determine the size and shape of the proposed work , whether the background view is open to the countryside, filled with plants or set among hard landscaping. 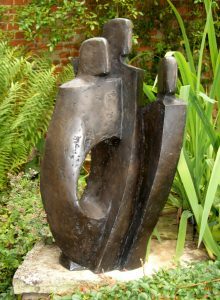 On a sloping site, the levels need to be considered to create the best possible view- points, whilst it is often a requirement that the sculpture is seen through the windows of the principal rooms of the house. 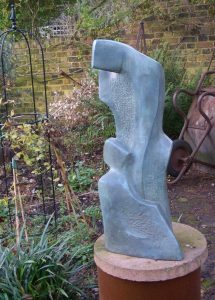 These decisions may well influence the colour of the patination, and whether the cast should be in bronze, aluminium or iron. 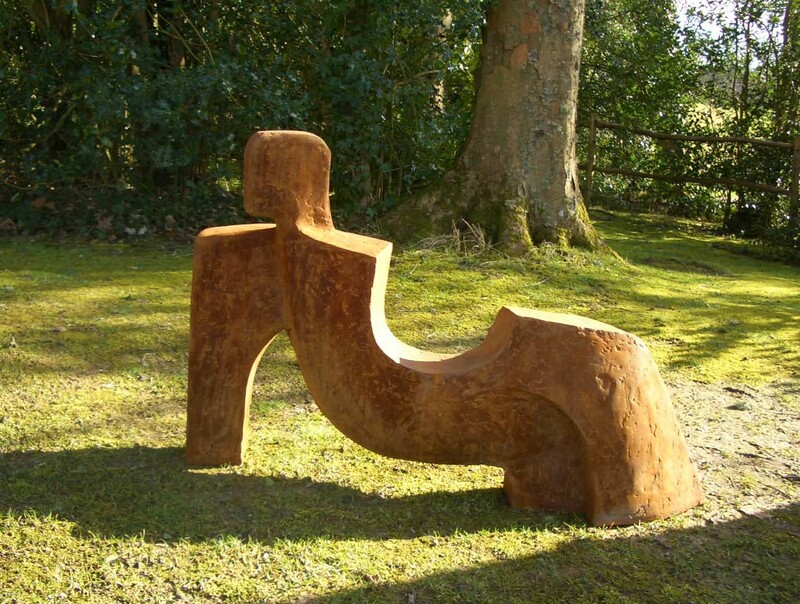 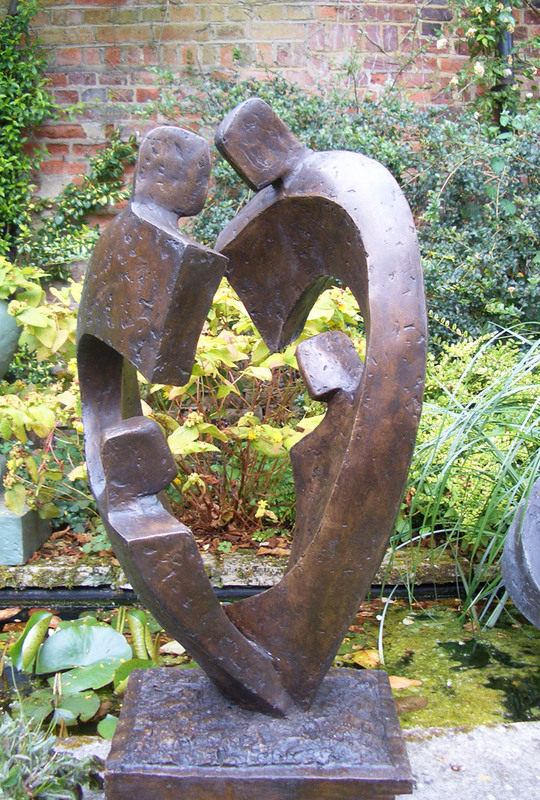 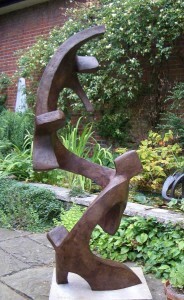 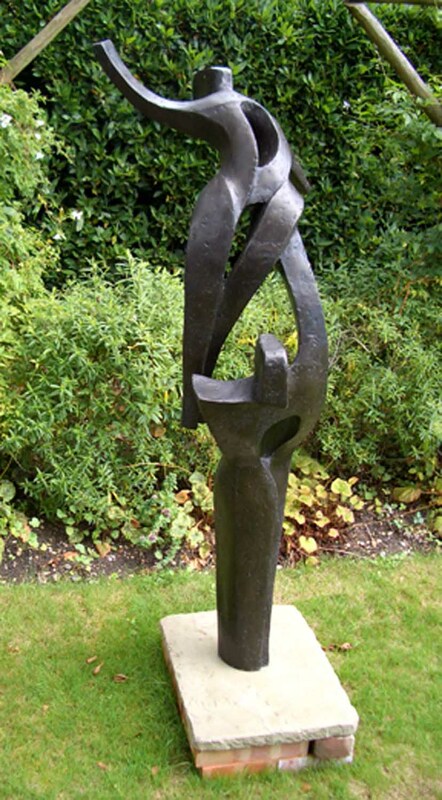 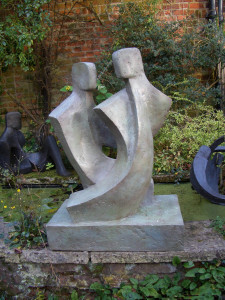 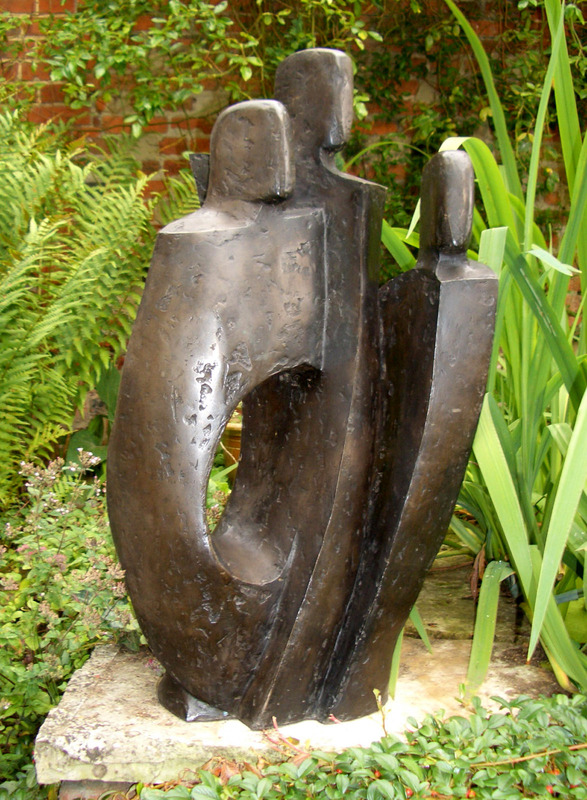 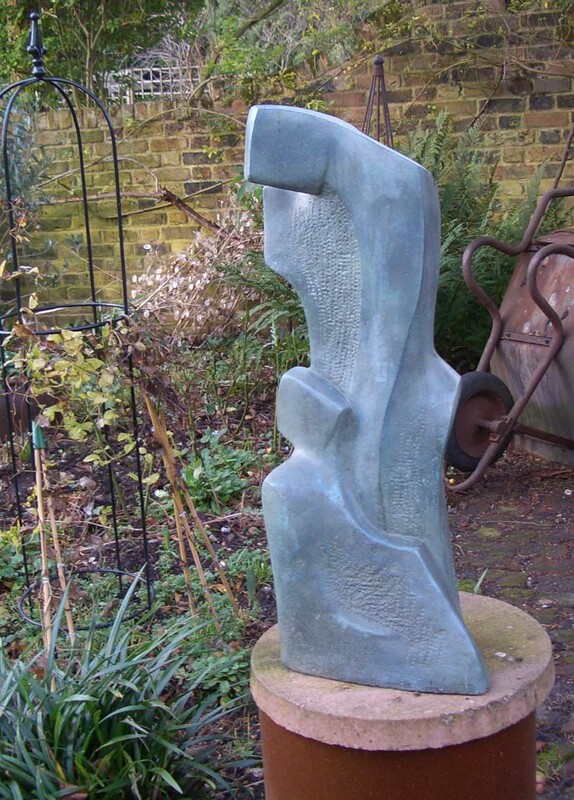 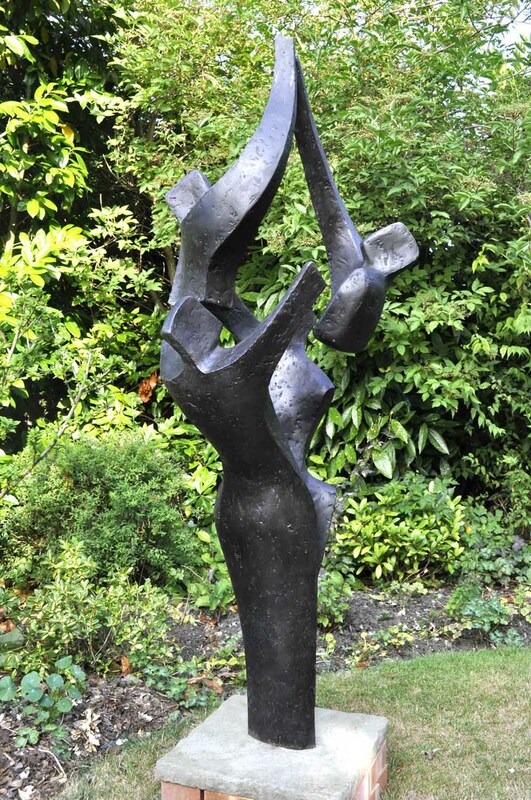 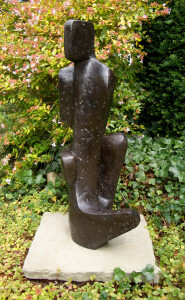 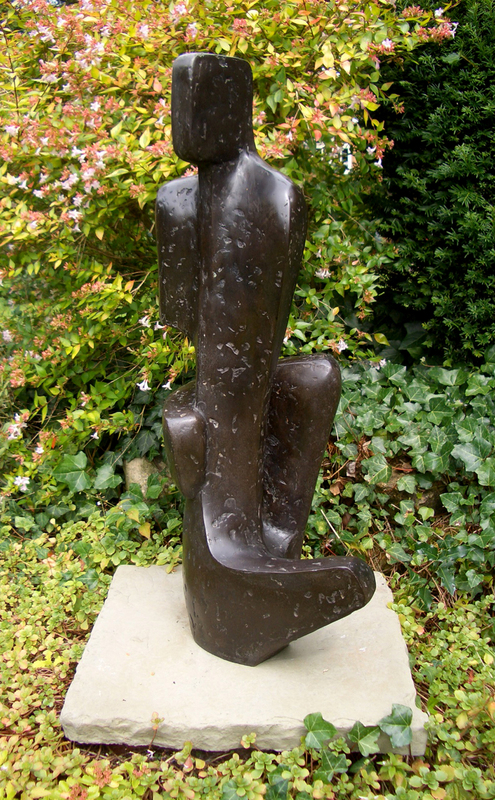 Indeed, most of my garden sculpture is cast in foundry bronze or resin cast,. 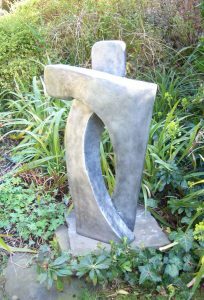 This method gives me much wider scope and flexibility for design, eliminating many of the restrictions which occur with stone carvings. 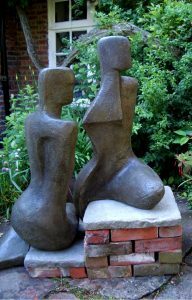 Working up a polystyrene and plaster master copy from a maquette (working model) I am able to create sculptures that stretch up from slender bases or have arms connecting figures together – the possibilities are endless. 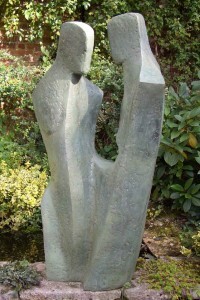 Examples of this aspect can easily be understood by looking at ‘Pas de Deux’, ‘Joy of the Family’, or ‘Celebration ll’.